Highlights of the Academy of Ancient Music's (AAM) 2016-2017 season include Richard Egarr directing Purcell's The Fairy Queen, the first in a cycle of Purcell's (semi) operas. The ensemble's cycle of Monteverdi operas finished last season, but 2016-2017 sees them adding a coda to this with Monteverdi's Vespers celebrating the 450th anniversary of the composer's birth. Jordi Savall will make his much anticipated debut directing the orchestra, whilst tenor James Gilchrist will also direct AAM for the first time. Richard Egarr, who is celebrating his 10th anniversary as AAM's music director, will be conducting Purcell's The Fairy Queen in a semi-staged performance at the Barbican which opens the season. This will be directed by Daisy Evans with soloists Mhairi Lawson, Iestyn Davies, Samuel Boden and Charles Daniels. Actor Timothy West will be the narrator. Monteverdi is the focus for two concerts directed by Richard Egarr, reflecting the composer's 450th birthday. The orchestra is joined by sopranos Carolyn Sampson and Rowan Pierce for a programme of Monteverdi's motets and instrumental music by his contemporary Dario Castello. The season will close with Monteverdi's Vespers of 1610 with soloists Rowan Pierce, Charles Daniels, Thomas Hobbs and Richard Latham. 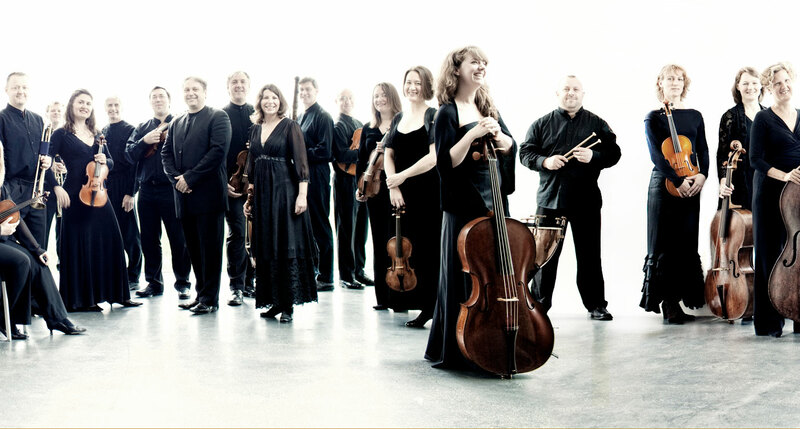 Jordi Savall will be directing the orchestra in a programme of music by Rameau and Lully, plus Handel's Water Music. Tenor James Gilchrist will be co-directing a concert with the orchestra's leader Pavlo Beznosiuk exploring the music of Purcell and Bach. Whilst principal second violin Bojan Cicic and principal oboe Frank de Bruine will be directing a programme of music by Bach, Vivaldi and Albinoni, which will also include Bach's Italian Concerto played by Alastair Ross. Robert Howarth will be directing a Bach Reconstructed programme, which explores Bach's original versions of pieces he subsequently revised and reconstructed. The orchestra is joined by soloists Mary Bevan, Reginald Mobley, John Mark Ainsley and Matthew Brook for Bach's Mass no. 3 in G minor, the sinfonia to Cantata No. 49, and the original version of Orchestra Suite No. 3. The concerts all take place at the Barbican, where the orchestra is an associate ensemble, either in the Barbican Hall or Milton Court Concert Hall. A number of the concerts are repeated at West Road Concert Hall, Cambridge as part of the orchestra's residency there. Full information from the Academy of Ancient Music website.